The possibly most admirable guest on the annual Adams Boat Care crayfish party was Kajsa Lemby. I met Kajsa in the Stockholm archipelago a couple of weeks earlier on the Vega No 7 IMARI, owned by her father Lasse for almost 50 years! Of course, we talked about boats and her tall husband revealed that he had been dreaming of a bigger boat for their 35 years of partnership, but Kajsa had always had a strong opinion on small and simple boats and that the Vega of her father was just the perfect boat, except for one or two safety issues regarding the 50 year old leaking Albin 02 petrol inboard engine and the gas installation with the bottle stowed inside the boat…! 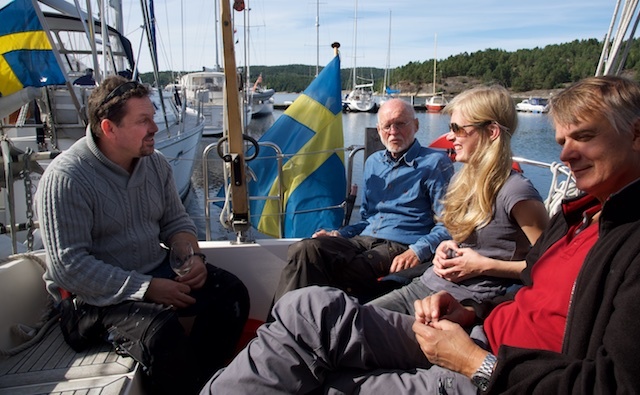 Kajsa sailing Vega no 7, still sailed by her 84 year old father Lasse for 50 years! After a couple of bottles of wine, I talked about the upcoming cray fish party at Adams Boat Care. On her question if she could join the party, I said it was for customers only, unfortunately, and suggested her to go to the upcoming Open House Week-End boat show in Ellös to look at new boats. I specifically recommended her to look at the new HR310. 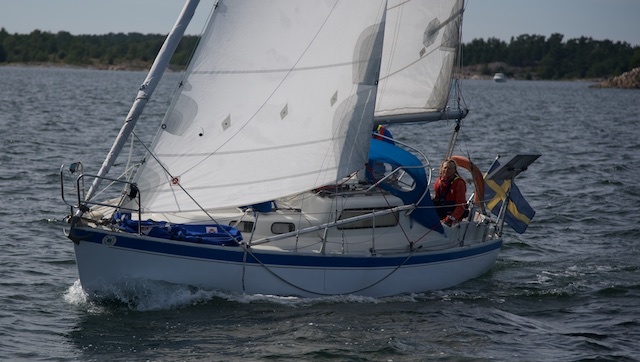 A week after our meeting in Stockholm, Kajsa took the train to Ellös and looked at the Hallberg-Rassy yard in general and the HR310 in particular. Unfortunately, to her, the new design of the HR310 looked and felt a bit too modern and not quite her thing… With nothing better to do, she continued to south of Sweden and looked at a HR31 from 1996 that was for sale and immediately fell in love! Kajsa loved the classic look and feel of the old HR31, very similar to the HR46 Regina Laska she had seen some days earlier. Besides, this HR31 was hull No 107, with the Vega she had been brought up in had No 7. Further, the name gave a wink: The Vega is named after the old Japanese Porcelain IMARI and two of Kajsa’s children have lived in Japan and speak Japanese. The fact that this HR31 was called Geisha could simply not be neglected! Kajsa, also wanting to join the crayfish party at Adams Boat Care made a bold decision. She bought Geisha and sailed her up to Vindön the week after, arriving on the very day of the crayfish party! She made it to the party, after all, now being an official customer! 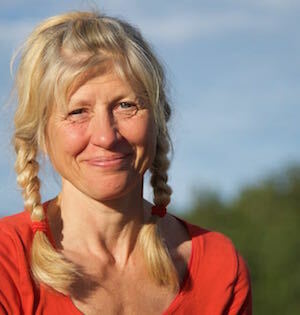 Kajsa will now invest a significant sum of money to get her new boat updated with a new power system including new batteries, inverter, charger and 230V outlets, new electronics, new standing and running rig, new sails, a new LED lighting system, an anchor windlass and new anchor with chain, solar panels, new water hoses as well as some other bits and pieces to personalise the boat to Kajsas taste. The interior was in an immaculate condition and the boat had only been sailed by the one single owner on the westcoast of Sweden and Denmark for almost 20 years. 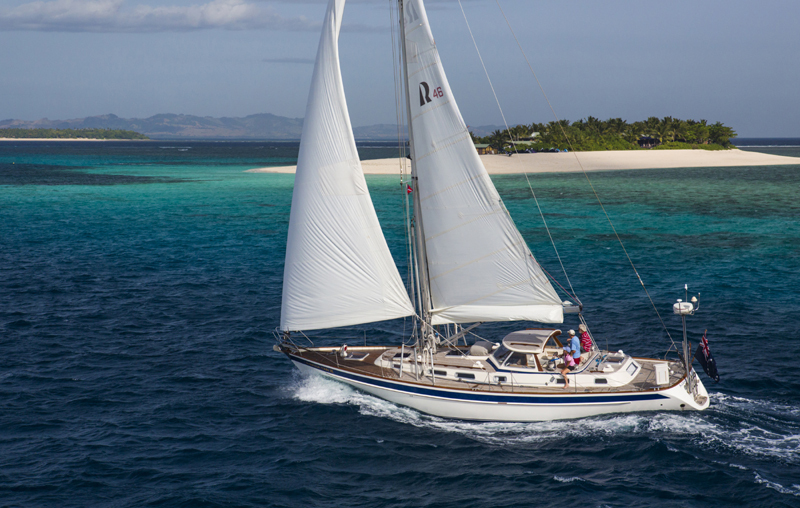 The total sailed miles were no more than 4.400, not more than I sail Regina Laska in less than a season! What a great second hand boat to buy and bring to Adams Boat Care! 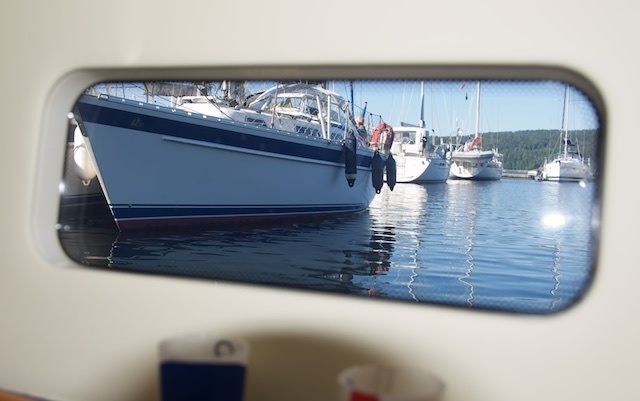 Kajsa is totally convinced that this is well invested money, since a boat refitted by Adams Boat Care will keep its high value for many years to come and that she could sell her any time for about the sum of money should totally would invest in her. Right now, she is a bit uncertain if she didn’t buy a too big boat after all, but I am convinced that she will find the HR31 just perfect for her when she picks up her refitted boat next spring from Adams Boat Care! 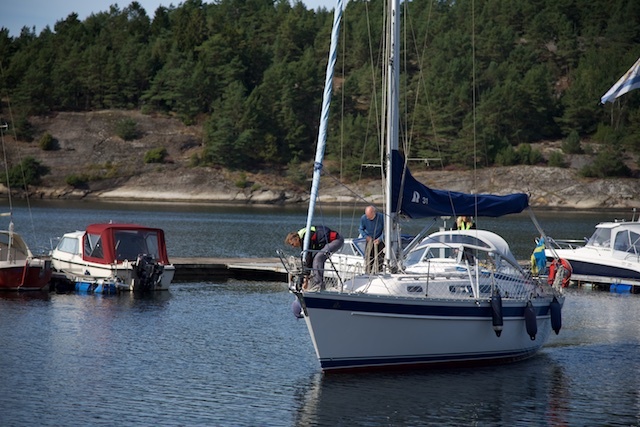 I am totally convinced that they all will love Geisha and find her just perfectly sized for tacking through the Stockholm archipelago, as well as sailing off to new exciting destinations! And after the treatment by Adams Boat Care she will feel like new when Kajsa and Gunner will be picking her up the following spring.